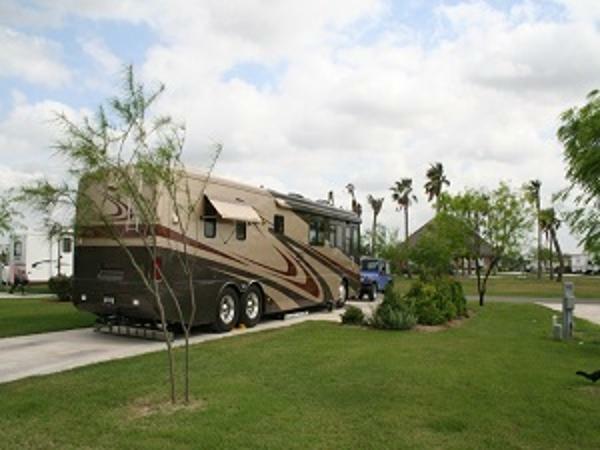 Bentsen Palm Village RV Resort is a 55+ Adult Resort and one of the most unique RV Resorts in South Texas. It is also part of the 2,600-acre Master Planned Community of Bentsen Palm Development. Bentsen Palm Village RV Resort is located in South Mission at the entrance to Bentsen-Rio Grande Valley State Park on South Bentsen Palm Drive. We are only minutes from shopping, medical facilities and easy access to Expressway 83. Bentsen Palm Village RV Resort offers over 250 large pull-thru and back-in sites, full hookups, rental cabins and casitas and native landscaping. We have a top 5-star rating by Woodall's (Facilities and Recreation) and Trailer Life recently ranked our Facilities a 10, Restrooms a 9 and Appeal a 9.5! Our super sites offer a 10x12 storage building that can be locked and secured when necessary. The sites are extra wide concrete pads that include a picnic table and a charcoal grill. Cabins and casitas are available and come fully furnished with linens, towels, utensils and dishware. Just bring your toothbrush! Community amenities include a Club house, pool & spa, fitness center, dog agility course, woodshop, craft room and miles and mils of hike & bike trails. We provide FREE Cable, FREE Wireless Internet to every site (that really works - and upgrade packages are available). We provide FREE use of bicycles, canoes and kayaks. You can even join in on the thrilling kayak, canoe tours,and pontoon boat tours on the Rio Grande River led by one of our residents. Fun events are scheduled throughout the winter season at our Club House, including musical events, seminars, cookouts and other great ways to meet new friends! The World Birding Center Headquarters at Bentsen-Rio Grande Valley State Park welcomes Bentsen Palm Village RV Resort residents to the #1 birding observation center in the nation. You can bike though the Park or take advantage of the convenient tram service. 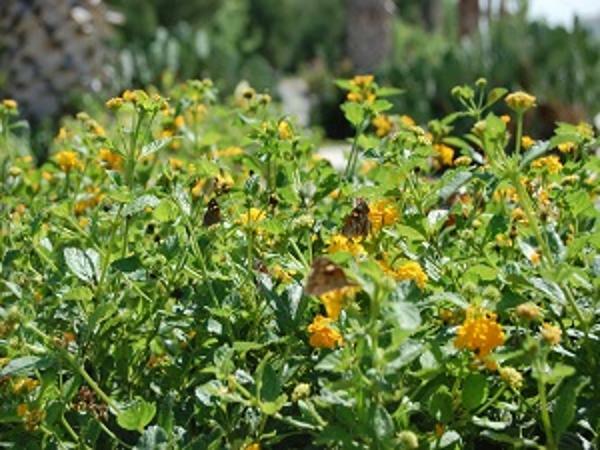 Additionally, the North American Butterfly Association (NABA) is building the largest outdoor butterfly park in the world adjacent to Bentsen Palm Development. Thousands of acres of state and federally protected wildlife habitat, lakes, park trails and a 40-foot high Hawk Observation Tower on the banks of the Rio Grande River are within easy walking distance of your front door at Bentsen Palm Village RV Resort. Located at the entrance to Bentsen-Rio Grande Valley State Park on Bentsen Palm Drive, just 3 miles south of Expressway 83 in Mission, Bentsen Palm Village RV Resort is where world-class birding and the Texas Tropics surround you. Come Stay Here and Play Here at Bentsen Palm Village RV Resort. They are busy year-round scheduling the best talents, performers & musical groups for your enjoyment. See the "Resort Calendar" on our web site for dates & times of scheduled events in our Clubhouse. You can even reserve the Clubhouse for your own private event! *Most scheduled performers will offer a evening show. Plenty of tickets for everyone!